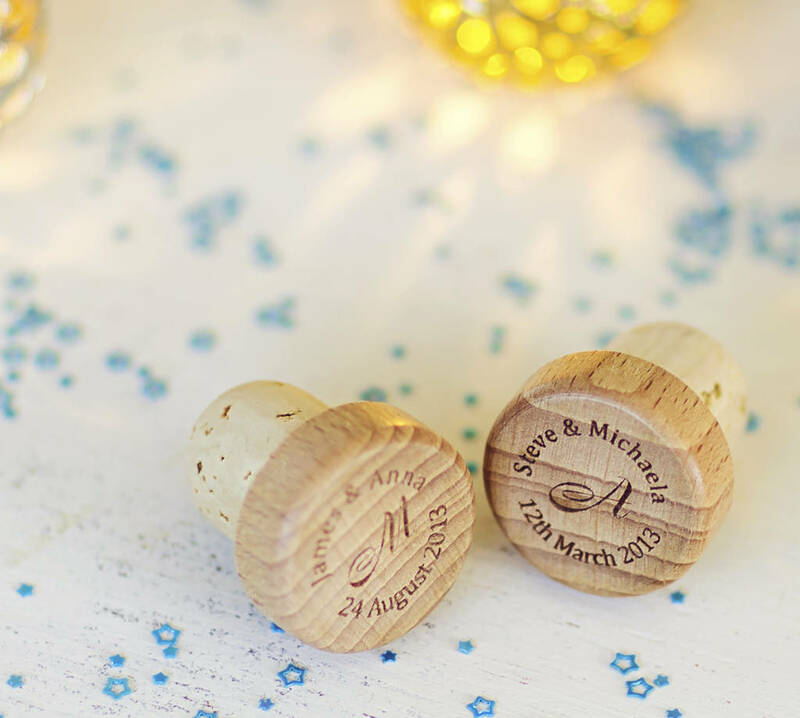 Personalized wood wine bottle stoppers are a classy memento of your special day and makes a great, practical wedding favours for your guests. 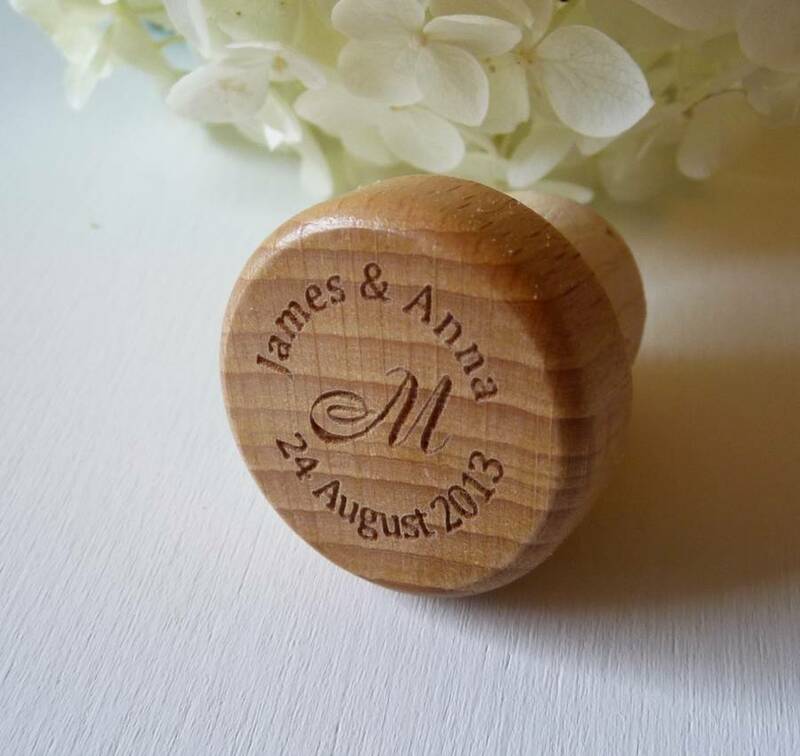 The Bottle stopper can be personalised with bride & groom's first names, first surname monogramed letter, wedding date. 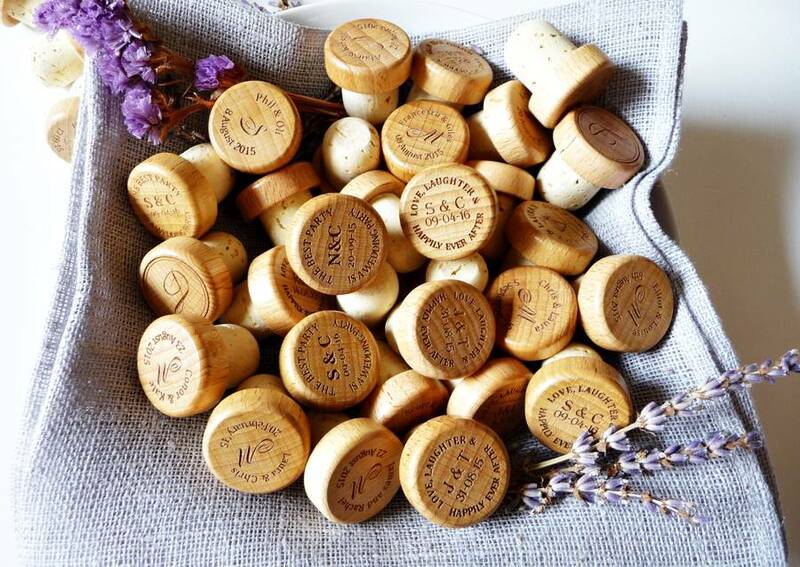 Our Wine Bottle stoppers is made from 100% natural material: cork and the top cap made from beech wood. Being a 100% natural product, the bottle stoppers are completely recyclable and reusable. The bottle stopper top measures 2.5 cm in diameter and the cork measures 1.5 cm in diameter to fit most standard wine bottles and spirit bottles. MINIMUM ORDER IS TWO ITEMS. £5.99 is per item. Is not economical for us to dispatch single stoppers. Request to do so can not be fulfilled. 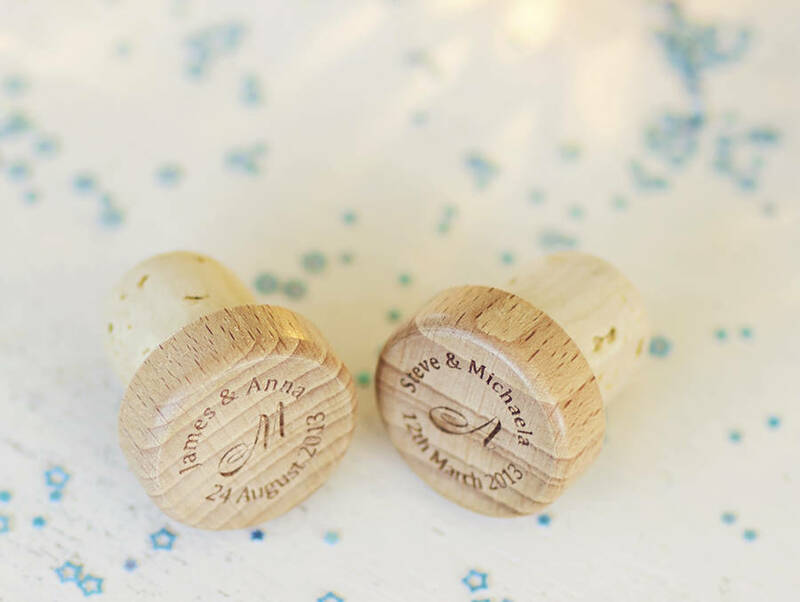 The bottle stopper top measures 2.5 cm in diameter and the cork measures 1.5 cm in diameter.